OSHA is hosting a meeting May 14 in Washington, D.C., to solicit public comments and suggestions from stakeholders on issues it faces in administrating whistleblower protection provisions under the Occupational Safety and Health Act. Specifically, the Agency seeks input on how it can improve whistleblower customer service and what kind of assistance it can provide to help explain the whistleblower laws it enforces. The meeting will be held at the Department of Labor’s national headquarters. Interested parties must register by April 30. 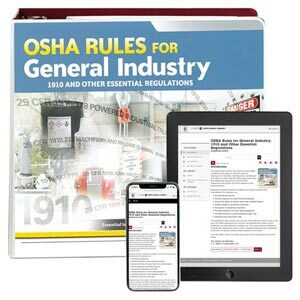 OSHA will accept comments on the issues until May 7, 2019. Search for Docket No. OSHA-2018-0005 at the Federal eRulemaking Portal. OSHA previously held stakeholder meetings on whistleblower protection in the transportation and financial sectors.